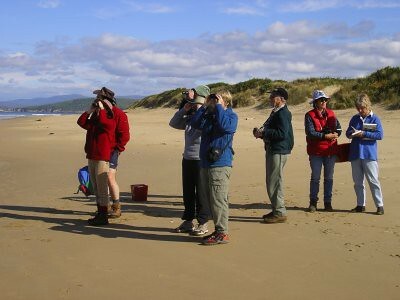 Observing sea birds from Hope Beach, on the southern seaward side of South Arm Neck. Spanish heath (Erica lusitanica) is a listed weed and is a very invasive pest in much of Tasmania. 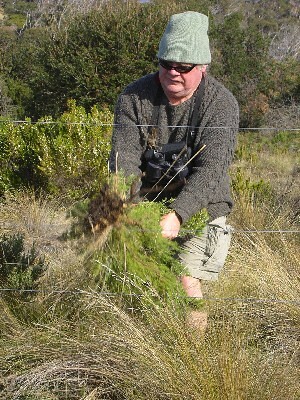 Here a club member is doing his bit for weed eradication alongside the track to Hope Beach. 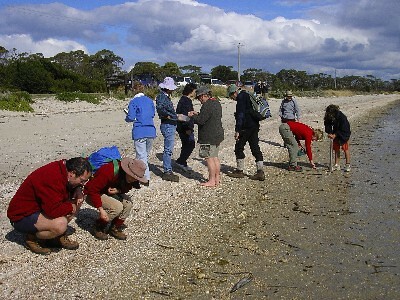 Ralphs Bay, on the inland northern side of South Arm Neck. "Nature red in tooth and claw." 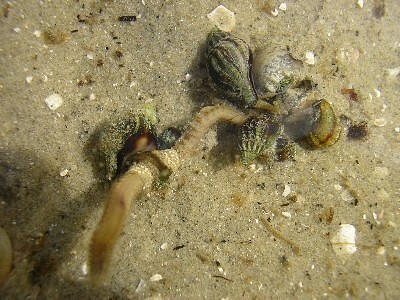 Whelks attacking a nereid marine worm. 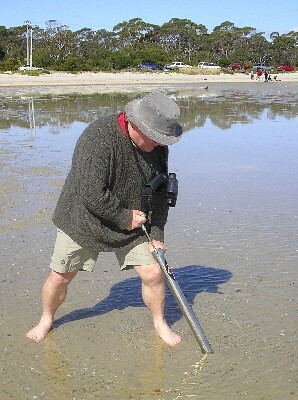 Obtaining a mud core in Ralphs Bay. 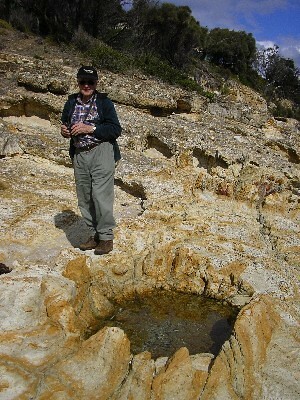 Looking at an interesting formation in the sandstone of the South Arm foreshore. 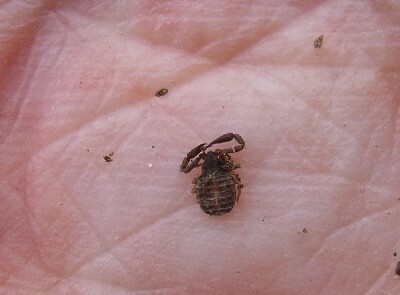 Pseudo-scorpion, from the foreshore at South Arm.